Boxing legend Manny Pacquiao was back in the ring on Saturday night, and he linked up with a fighter he had been rumored to fight for quite some time. Across from him stood the often controversial Adrien Broner who was gunning for a chance to take Pacquiao’s WBA welterweight championship. For the first six rounds, Manny Pacquiao had unofficially won five of them. 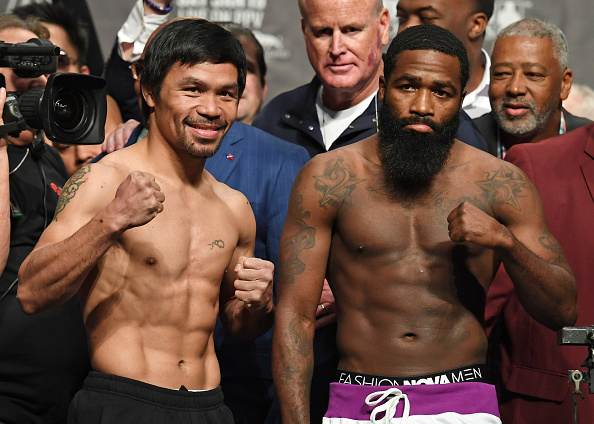 In the seventh, the Pac-Man looked to end the fight via knockout as he delivered a flurry of punches to Broner who continued to hold on for dear life just to make it to the 8th, which he did. Broner really showed close to nothing in the later rounds as the crowd began to boo him as he danced around the ring avoiding any and all contact from Manny. Pacquiao would come out victorious.